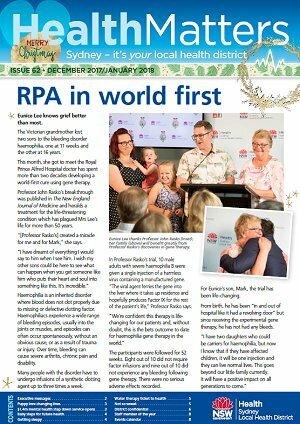 A special Easter delivery for our sickest small people, RPA's new high-tech 3D bio-printer and singing for good health. 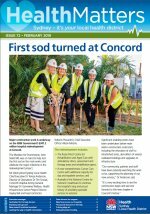 Concord turns the first sod in a major milestone for the hospital redevelopment, an Australian-first wellbeing program for doctors and colourful celebrations at Mardi Gras Fair Day. 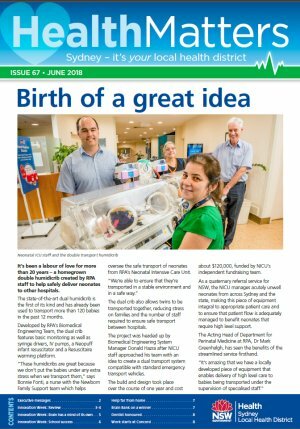 Collecting tiny beads for seriously ill babies in RPA's special care nursery, honouring Concord's quiet achiever and a world-first multiple sclerosis trial. 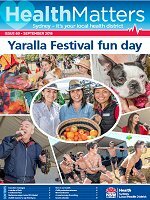 Fun for the community at Yaralla Festival, Melanoma expert wins RPA Medal and our Child Protection Awards recognise services supporting child safety and wellbeing. 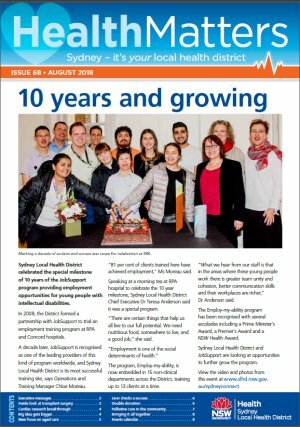 Celebrating 10 years of the JobSupport program, cardiac research breakthrough and expanding Aged Care outreach services. 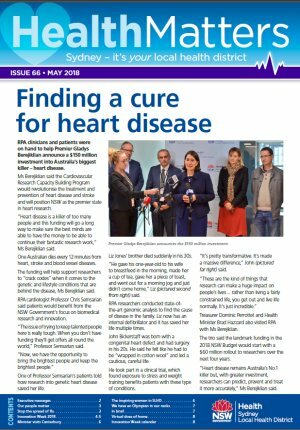 A homegrown double humidicrib, redevelopment works underway at Concord and a wrap up from Innovation Week. 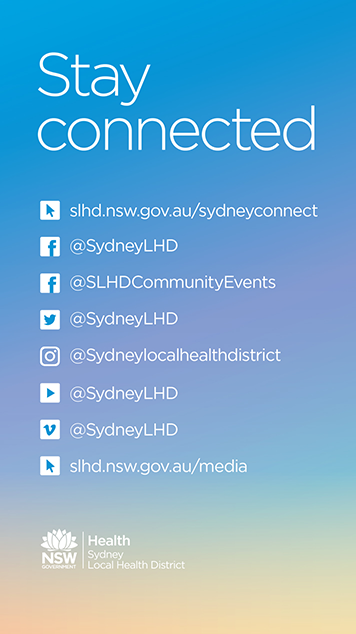 Stopping the spread of flu in our community, gearing up for Sydney Innovation and Research Symposium and the Premier and Minister for Health visit our hospitals. 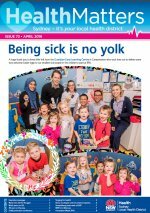 Surgeons of the future. 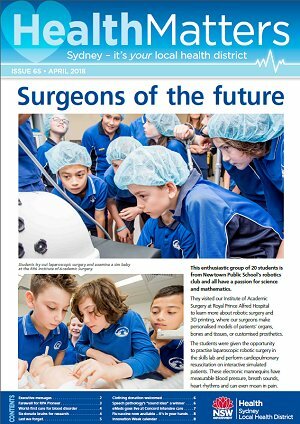 This enthusiastic group of 20 students is from Newtown Public School's robotics club and all have a passion for science and mathematics. 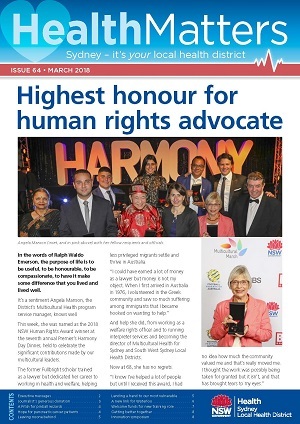 Human Rights awards, broadcaster's generous donation to TAVI and Equity Fest. 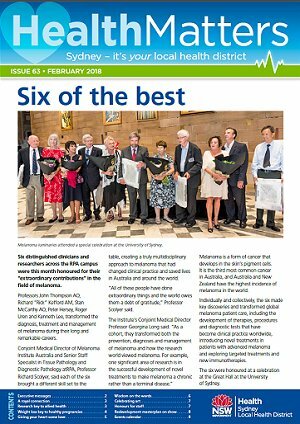 Our melanoma luminaries, 150 years since the shooting of Prince Alfred and Concord Hospital masterplan. 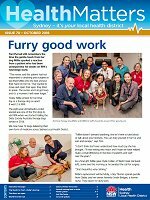 Haemophilia breakthrough, puppy love changing lives and a new mental health service.